What?? The idea of eating roses doesn’t strike to you? What can I say! I love to eat sugar cookies! 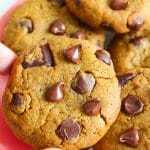 Cookies that bake soft in the center, have slightly crispy edges, do not expand a lot while baking and have gorgeous flat tops. 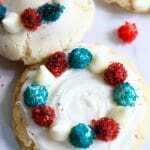 I know you will love a sugar cookie with all the above mentioned traits. 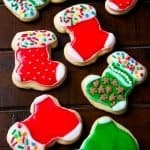 I covered them all in my stockings sugar cookies(small batch) recipe that I posted a few days back! Also I shared a super easy icing to go with them. So today we are focusing on royal icing. Furthermore, how to create those pretty roses using wet on wet technique (more on that just in a minute)! This icing isn’t hard to make at all. No, I am serious. Thanks to SweetAmbs tutorial! If you are careful with a few steps, your roses are sure to bloom! Flood consistency royal icing- This kind of icing is used to spread a first smooth coating on a sugar cookie. It is used to outline and fill the cookies. Medium consistency royal icing- Royal icing that holds a soft peak and doesn’t melt on it’s own. It is called wet on wet because roses will be carved while the base of our flooded icing is still wet. You will need to work fast here as royal icing tends to dry in the flap of a butterfly’s wing! Another tip to remember: Don’t ever add too much water in your icing at once. You can always thin it out later! 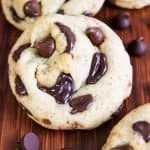 Now you can bake these in any shapes and sizes, my recipe will bake about 6 medium cookies, 6 small ones and a few extra small sugar cookies. If you don’t care about swirling a rose in their centers, a few pink heart sprinkles would look so good here! Decorate them anyway you like, I am sure you will love this tender, buttery cookie with a slightly crunchy (and beautiful) icing on the top! I can’t wait to see your creations. 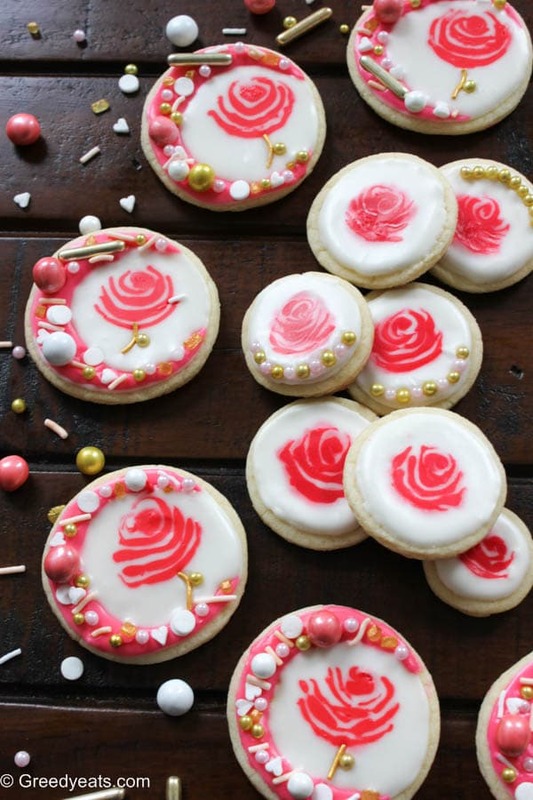 Follow me on instagram and tag @greedyeatsblog so that I can see all your sugar cookies dressed for Valentine’s day! 1. Take 1/4th (30 gms) of the confectioners sugar, add 1 tsp meringue powder to it. Add about 1/4tsp of water, at a time to reach the desired consistency. 2. Don't beat the icing on high speed, you can even do it with a fork. It will only take about a minute or two at most! We don't want to incorporate a lot of air into the icing or don't want it to be too fluffy either. 3. Fill the icing in a bag and using wilton #3 tip draw out circular outlines on the cookies. Keep some icing aside to make roses. 4. 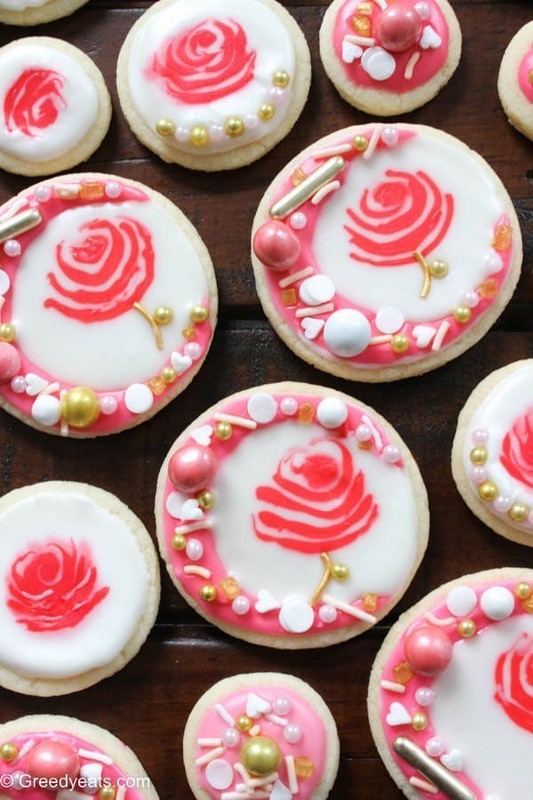 Tint the remaining icing with food coloring to create roses. Fill it in a bag. 1. Mix the remaining 3/4th (90 gms) of sugar with 3 tsp of meringue and add water slowly to reach flooding consistency. This icing when lifted at a height and dropped back, will dissolve back in the bowl in about 12-15 seconds. 2. Take care not to make it too thin. Fill the piping bag with about 2/3 of this white icing and color the rest with food coloring. 3. Keep the white icing covered or in a bag. Draw outlines and flood the outer base section in the shape of "C" with coral icing and top it off with sprinkles immediately. 3. Then flood inner white circles (one at a time) and quickly drop some medium consistency coral icing (that you previously piped) in the center, in circular shape. Then swirl it with a toothpick or scribe tool to create roses. 4. Top with a long golden jimmy and a sprinkle ball to create stem and leaf. Oh my goodness! You’re so creative and talented. these look so pretty! The perfect recipe for Valentine’s day. 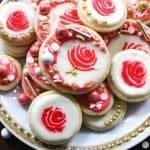 These cookies are romantic, elegant and super refined, but I do not think I’ll be able to make them for my half xD But I’m fascinated I would be good like that! What a beautiful design. 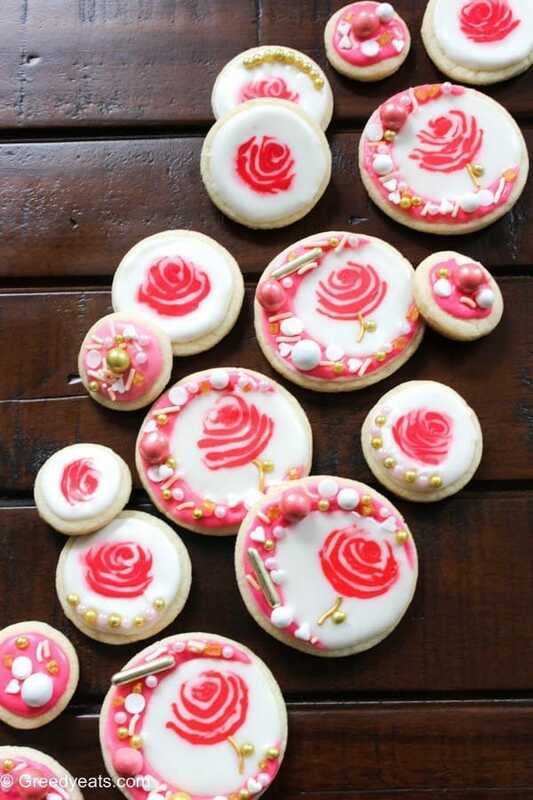 I love Valentines Day and I know my boys would love eating and making these cookies. Thank you so much for sharing this great recipe! 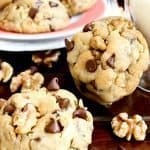 I was looking for activities to do with my girls on this day and these cookies would be perfect! My daugher loves to bake especially for holidays. She would love to make these for sure! You could really get creative with these. They are so pretty! very well done!! I love baking and i like making a personalized gift for Valentines Day it becomes more romantic. 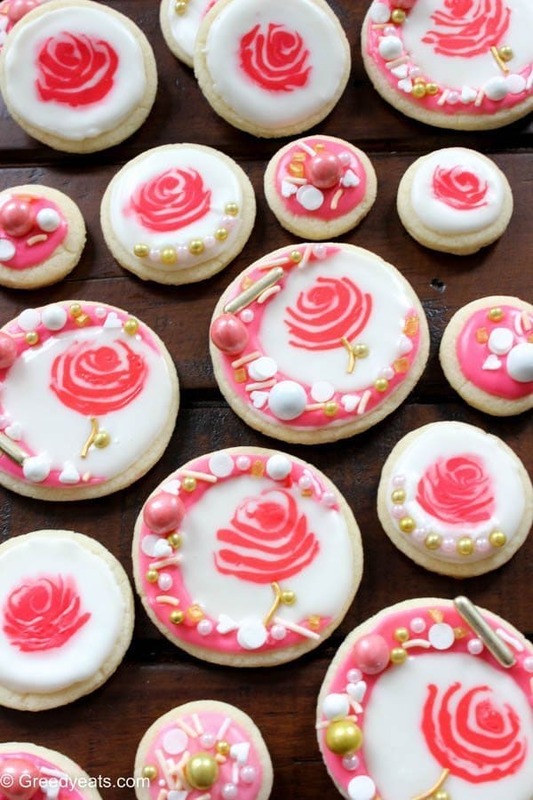 This rose cookies is so cute and looks tasty too. Everyone in my family would love this. 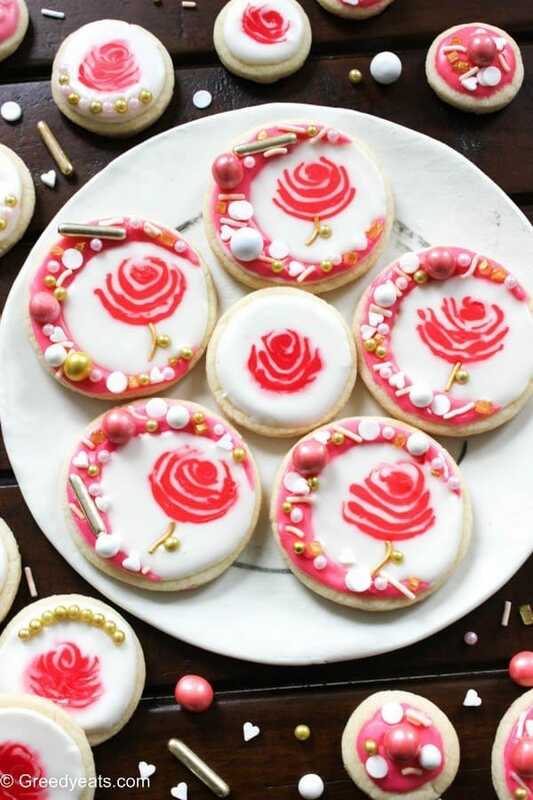 These are beautifully decorated rose cookies. It’d be a good snack for Valentine’s day. Thanks for the recipe. OMG! They look so cute! What a great idea! 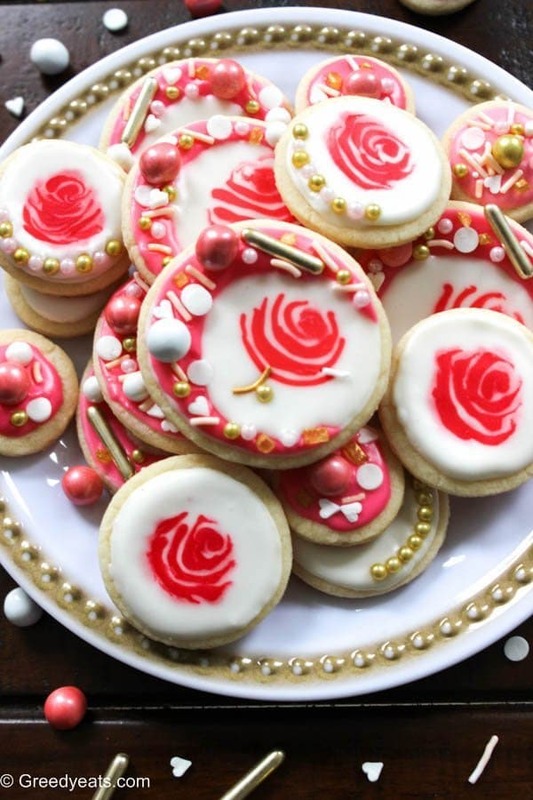 Beautifully decorated Rose Cookies look delicious! Perfect choice for Valentine’s Day 💕 You are talented. These are so pretty! They would be perfect for “Galentines Day” too! These are simply stunning! I don’t know if I would use them for decoration or eat them all! Wow these are so beautiful and cute! These would be so perfect for Valentine’s Day! I’m thinking about making these for my husband and his coworkers! how cute! These are absolutely amazing looking. It’s so nice to see such a beautifully made dessert. I bet they taste as good as it looks. This is so beautiful. Next week is my wife’s birthday so I am Planning to gift her something.